Although the Grammy's may have infamously snubbed JAY-Z's 4:44 album, the 2017 project revealed a more personal side to the legendary rapper, something that is still consistently being praised today. 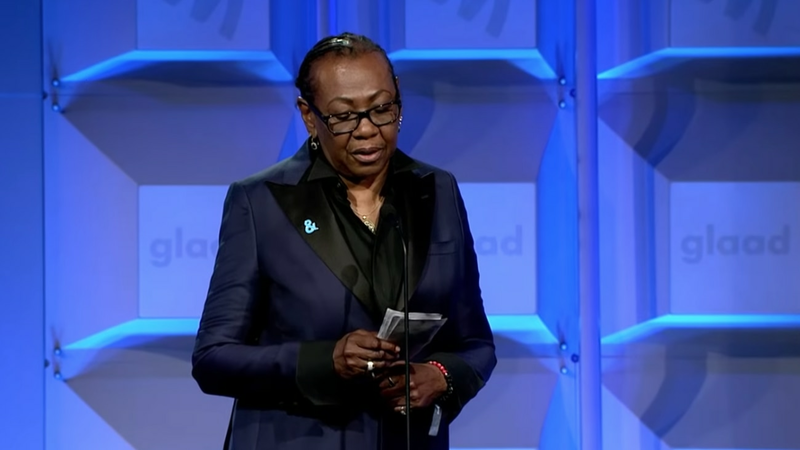 In fact, the 29th annual GLAAD Media Awards chose to honor both JAY-Z and his mother, Gloria Carter, for the critically-acclaimed track, "Smile," which powerfully addresses her publicly coming out as gay. This weekend, during a ceremony taking place in New York City on Saturday (May 6), Ms. Carter attended the awards, delivering a moving acceptance speech during which she discussed her emotional and freeing experience coming out to her son. Good Morning America's Robin Roberts presented her with the Special Recognition. "Thanks to you, to all the people whose lives I touched, for your support, by just telling my truth," Carter stated, addressing those in attendance. "'Smile' became a reality because I shared with my son who I am. Not that people didn't know; I was just someone they didn't talk about but they loved me anyway. But for me, this was the first time that I spoke to anyone about who I really am." She then went on to discuss the impact falling in love with her partner had on her, and how it gave her the power and strength to unapologetically be herself. "Love gave me the courage to take the power that I allowed other people to have over my life for fear of them revealing my secret that wasn't really a secret," Carter added. "Here I am, I'm loving, I'm respectful, I'm productive, and I'm a human being who has a right to love who I love. So everybody, just smile, be free. Thank you, and God bless." Listen to Gloria Carter's heartfelt acceptance speech, below.